Bill Madden holds the position of Special Counsel with Carroll & O'Dea Lawyers. He is a frequent writer and speaker on medical law issues with his particular interests including health & medical law, intentional torts and the application of technology in the practices of medicine and law. His blog on medical and health law issues is at billmaddens.wordpress.com. 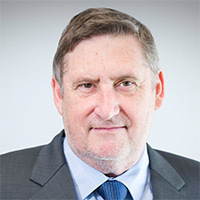 In addition to his teaching role at Melbourne Law Masters, he is an Adjunct Fellow with the school of law and the school of medicine at Western Sydney University and an Adjunct Professor with the Australian Health Law Research Centre at the Queensland University of Technology. Conclaves and concurrent expert evidence: a positive development in Australian legal practice? (2016) Medical Journal of Australia 204 (2): 82-83. Full compensation no longer sacrosanct: Reflections on the past and future economic loss 'cap' for high income earners. (2012) 20 Torts Law Journal 90.